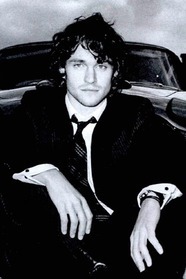 Hugh Dancy’s film credits include Confessions of A Shopaholic, Adam, The Jane Austen Book Club, Evening, Tempo, and Black Hawk Down, among others. He was nominated for an Emmy for Best Supporting Actor in Elizabeth I, and has also acted in television miniseries of David Copperfield. His theater appearances include Madame Bovary and Daniel Deronda. He is the narrator of the audio book By Nightfall by Michael Cunningham as well as George's Cosmic Treasure Hunt and George's Secret Key to the Universe, Stephen Hawking's books for children. The two discuss youth, how to inhabit characters, and the worst question to ask an author.